Can Talari help me move to the cloud? “Cloud” has turned into an overused word with a slippery definition. So many things are now grouped under the cloud banner that it can sometimes be difficult to figure out which solutions are actually powered by scalable and elastic compute, storage and networking resources, and which ones are simply “cloudwashed” – branded as “cloud” only to mask their roots in legacy infrastructures. Essentially, the cloud can mean many different things and the issues companies face as they look to capitalize on the agility and cost-saving that it facilitates can vary widely, too. The short answer is “yes”, Talari can help you move to the cloud. However, to better understand our answer, we have to explore the different meanings of cloud and the roadblocks that frequently get in the way. Let’s take up a few questions that can reveal what you need, as well as what you can expect, from cloud-based solutions like Talari’s cloud gateway. Are you going to use an IaaS provider such as AWS to extend your compute and storage abilities? Infrastructure-as-a-service is perhaps the best understood form of cloud computing, being closely associated with ecosystems such as Amazon Web Services that allow internal infrastructure to be supplemented or replaced by external resources as part of a hybrid or pure public cloud, respectively. Organizations may tap into AWS et al to realize more scalable, elastic IT operations than they likely have ever had in the past. Are you expanding your use of SaaS applications such as salesforce.com, Slack, and Dropbox? Many consumer and enterprise applications, from Slack to Office, now exist (or have only ever existed) as cloud-based software-as-a-service, requiring little more than an Internet connection and a monthly subscription payment for convenient everyday access. These apps are convenient to use but they require stable, fast connectivity. Are you emulating IaaS through your own private cloud? Housed on-premises typically, a private cloud is increasingly synonymous with a company’s data center and it ideally emulates the self-service and elasticity of something like AWS and allows for similar extension of application infrastructure. A private cloud ideally uses on-demand networking, storage and compute resources to make life easier for testers, developers and operations teams. Are you getting the best connection possible to the cloud? The cloud experience is largely defined by the quality of the connections to the services in question, which has made top-notch connectivity integral to all cloud solutions. With cloud-connected apps becoming central to business, a dependable and secure lane for their traffic is absolutely essential. Are you relying on data center backhaul to manage your cloud traffic? In most use cases, broadband Internet rather than MPLS is the go-to connection to the cloud, with or without a VPN for added safety. For example, almost all SaaS applications are accessed over public Internet links. Some enterprises may also send the bulk of their Internet traffic directly from their offices to the cloud, although the majority backhaul it first through their own data centers, via a single MPLS line, for security purposes. How can you build a better road to the cloud? 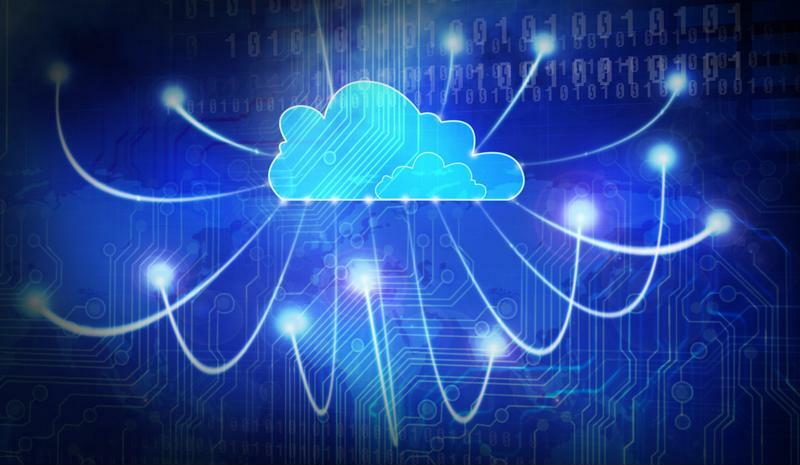 Enterprises need a safe, reliable road to the cloud, despite the obvious challenges. To this end, Talari’s cloud gateway appliance gives you a dependable way to keep tabs on all data heading toward the cloud, creates a secure and reliable connection to IaaS services all while enabling fast access to applications such as Salesforce and YouTube and careful distinction between traffic from personal and business cloud services. All roads to the cloud come through the WAN. Apply specialized security settings to cloud-bound data. Utilize reliable, aggregated connectivity for greater bandwidth and performance. Provide dedicated connectivity to help segregate IaaS and/or a public internet access. Implement traffic prioritization and complete isolation of public Wi-Fi traffic. Obviate the need to set up a separate VPN, since encryption can be run to the cloud. In these ways, the cloud gateway facilitates much better connectivity than enterprises could obtain by relying on traditional office-to-cloud links. It also offers a lot of flexibility and adaptability to the network as traffic patterns change over time. How does the cloud gateway help me move beyond the traditional hub-and-spoke model? For instance, instead of utilizing the traditional hub-and-spoke model for routing everything through the data center, you can take advantage of dynamic direct connections to bypass the hub when necessary. These tunnels can help handle voice and video conferencing between different offices, plus in many cases the public Internet links may be faster to use than the previously established backhaul setup and MPLS links. Altogether, using the cloud gateway is like having a full mesh network, except without having to sink all the required time into setting up the mesh manually. It is more cost-effective and easier to implement than direct connection alternatives, and more dependable than using VPN or SSL over the public Internet. The cloud comes in many flavors and each enterprise’s approach to it will depend on what applications are most important to their operations, along with what regulations and limitations they are subject to. The WAN is at the heart of how applications and infrastructure both old and new are connected, and a cloud gateway can ensure optimal cloud connectivity in all instances.